Our high-performance, double-pane basement sliding windows are far more secure than old-fashioned awning-style basement windows. 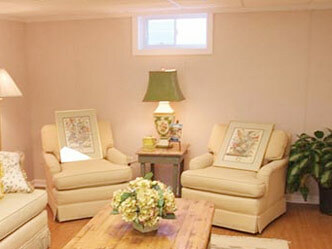 Replacing old basement windows is a logical upgrade in any basement makeover. Old basement windows are typically single-pane or double-pane units in steel frames. In addition to being unattractive, these windows waste energy and are difficult to operate. 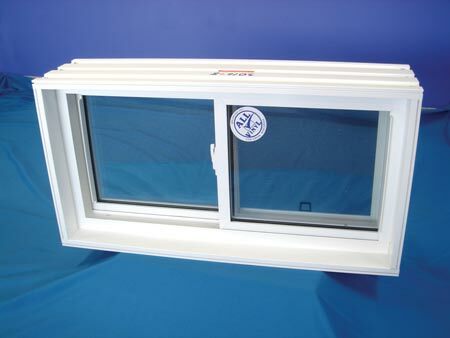 EverLast™ basement windows meet the high quality and performance standards of other Total Basement Finishing (TBF) components. Upgrade your basement windows with our double-paned vinyl windows for a brighter, more beautiful finished basement. Double-insulated Low-E glass insulates the space, while the attractive frame survives for years without rotting or needing paint. 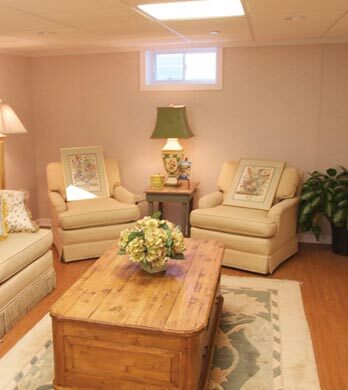 Total Basement Systems excels in basement window solutions that will ensure beauty and comfort in your finished basement. To get a free estimate, contact your local TBF dealer today! EverLast™ windows’ all-vinyl construction makes them immune to rotting, swelling, sticking, and rusting. 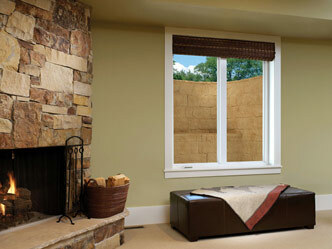 EverLast™ basement windows come in several styles, including casements. This one swings out for easy egress via an egress window well. Unlike metal or wood-framed windows, EverLast™ windows feature all-vinyl construction that will never corrode, rot or support mold growth. EverLast™ windows never require painting. Windows slide open and close easily. Window sash can be removed easily. You can quickly clean interior and exterior glass surfaces without going outdoors. With an R-2.94 rating, EverLast™ windows are nearly 3 times more energy efficient than single-pane windows. Low-e coating helps to promote solar gain in winter and limit solar gain in summer. In combination with the SunHouse™ Basement Window Well, provides bright, natural light. With skilled installation, EverLast™ windows can eliminate the drafts that waste energy and compromise comfort. There's more on basement windows, or you can return to our basement finishing overview section to learn about other innovative products. 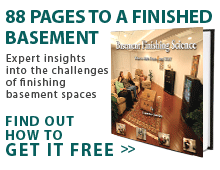 For a free basement remodeling estimate, call or contact us today!